Training leaders for the local church and society has been at the core of our mission. Many of our alumni are in the front-lines of major social justice issues ranging from poverty to human trafficking. One of these issues, which has had irreparable damage to an entire country and region, is the Syrian refugee crisis. Several of our alumni are working in different countries addressing the needs of this war-torn people group. 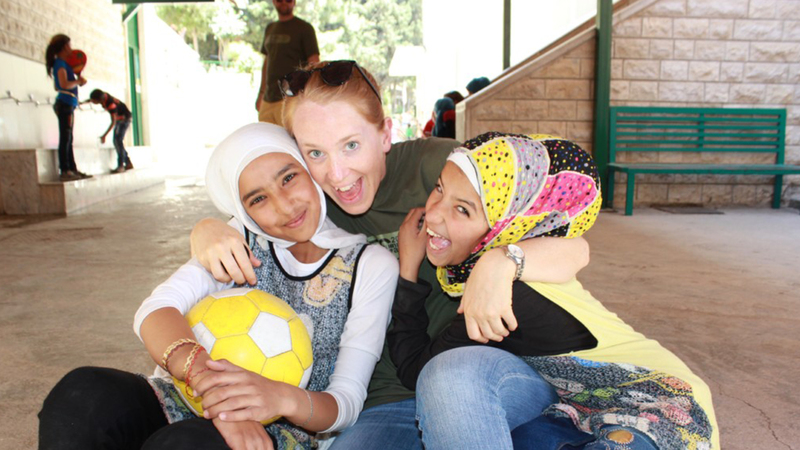 Alumna Annika Greco is currently on assignment with Youth for Christ in Lebanon, working with Syrian refugee youth. They offer non-formal education, a sports ministry and weekly tent visits in the refugee camps that build trust and relationships with Muslim families with the goal of sharing the Gospel. A major portion of their job is to work on youth reconciliation programs between Syrian and Lebanese youth.. Alumni Steve and Taffy Carpenter along with their family serve in Israel. As Jordan closed its borders to Syria, more than 50,000 people were displaced by a week-long offensive. Daraas’ residents described living in extreme fear and said many had also headed to the border with Israel, believing it to be safer. Steve and Taffy run the “Highway 19 Ministry” which works with Syrian refugee families and gave more than 10,000 pairs of shoes to children in an effort to build relationships and spread the Gospel. Alumni Elisha and Petrina Satvinder were recently received the Sharjah International Award for Refugee Advocacy and Support (SIARA) from His Highness Sheikh Dr. Sultan bin Mohammed Al Qasimi at the awards ceremony held at Sharjah. The Dignity for Children Foundation, which they founded, was selected for its performance as a leading humanitarian institution in Asia and the Middle East and North Africa (Mena) region, providing support and advocacy services to refugees and the displaced. The Sharjah Award is organized by The Big Heart Foundation in collaboration with United Nations High Commissioner for Refugees (UNHCR).